Sayli Navarro reported tonight that "in Colon 5 Ladies in White gathered together where Caridad Burunate lives and handed out copies of the Universal Declaration of Human Rights. Angel Juan Moya at 8pm described over twitter how today, on December 10th, police beat Lady in White Adisnidia Dallet with a pistol while arresting her. He attached the above photo. At 5:14pm the Ladies in White reported that the latest news was that hundreds had been detained and their counterparts abroad posted a press release. Yoani Sanchez reported at 3:21pm over twitter that "police arrested and warned 14 y medio reporters for 'doing something illegal' ... but [Yoani exclaimed] they are doing journalism!" Rosa María Payá Acevedo at 1:24pm over twitter provided the context for what was taking place: "December 10th will go down in history as the day of State Security brutality. This is how the Government makes a mockery of human rights in Cuba." At 12:36pm today the Christian Liberation Movement (MCL) tweeted that "communist hordes assaulted the home of Elder Perez, of MCL in Majibacoa and beat up his wife who is pregnant." Via telephone the Cuban Democratic Directorate today documented numerous demonstrations taking place across the island and also interviewed Sonia Garro who was sent home yesterday after spending two years, eight months and 22 days along with her husband and neighbor arbitrarily detained and is currently under house arrest. None of the three activists have undergone a judicial proceeding. Regis Iglesias, spokesperson of the Christian Liberation Movement at 1:40pm over twitter posted a picture of Ricardo Bofill with the text: "Honoring honor. Ricardo Bofill, an essential reference in the defense of Human Rights of Cubans." 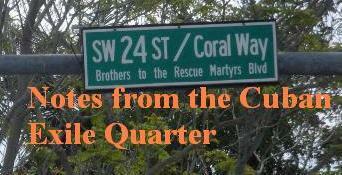 These courageous activists are the disciples of Dr. Ricardo Bofill. Dr. Ricardo Bofill along with Martha Frayde and Eddy Lopez founded the Cuban Committee for Human Rights in 1976. In 1987, Nobody Listened, the documentary directed by Néstor Almendros and Jorge Ulla first introduced the world to Ricardo Bofill and the nonviolent human rights movement in this video. Following the interview with Bofill in an interview with Fidel Castro the name of the human rights defender is raised. Castro dismisses his importance, but it is obvious in the context of the interview that he knows very well who this lone activist is. 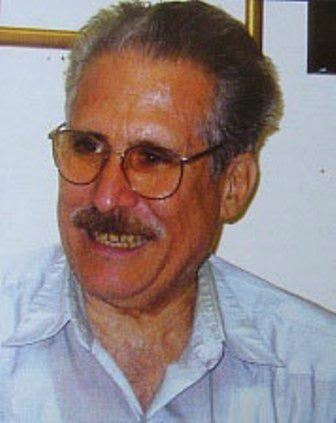 Bofill went into exile and the leadership of the Cuban Committee for Human Rights passed to Gustavo Arcos who died of natural causes in 2006, but remains an icon of the Cuban human rights movement. What started in 1976 as three activists based in Havana, in and out of prison, is now 38 years later a nationwide movement of thousands who are nonviolently engaged in the battle of ideas and the defense of human rights. 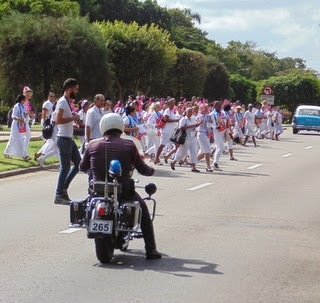 Today's repression across the island continues to demonstrate that the Castro regime is terrified of them.